Poetry! 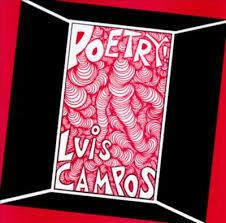 Compact disc for sale by Luís Campos was released May 31, 1994 on the New Alliance label. Poetry! CD music contains a single disc with 15 spoken word poems. 142 pages. Published by Aurens Press, Sun Valley California in 2012, includes sections on British, Australian, Spanish, Latin American, French and Hollywood Cinema along with a dedication to his late brother, actor Rafael Campos. 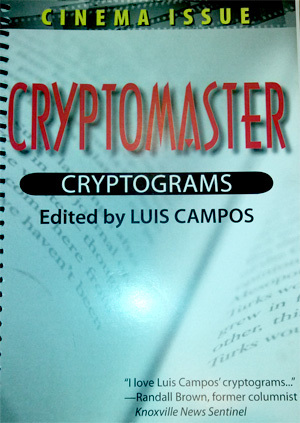 Luís Campos Cryptograms the #1 syndicated cryptographer in America! Send Luís a message and ask him about his book’s availability. Luís Campos was syndicated by United Feature Syndicate for 27 years; his work is currently being distributed by Universal Uclick. Luís has had over 12,000 cryptograms and crossword puzzles published, in English and Spanish, in hundreds of daily newspapers across the USA and throughout Latin America. In Celebrity Cipher, readers must decode quotes from well-known past and present individuals, living or deceased, covering all spectrums. 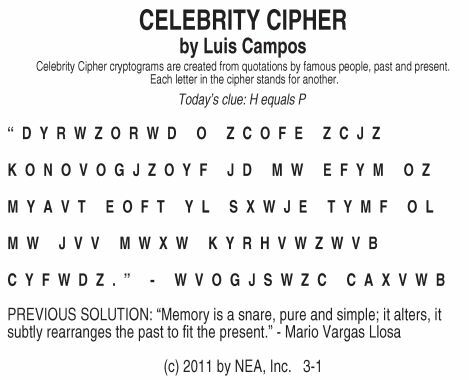 For more information or if you’re interested in adding his popular Celebrity Cipher to your publication, click here. Luís Campos presents his work as part of a marathon poetry reading benefiting Ave. 50 Studio, in L.A.’s Highland Park District, on 9/27/08.